Hamptons style living in South East Oakville! Located on a 280’ deep lot in desirable Morrison, this transitional yet timeless home is an architectural masterpiece. Designed by architect Richard Mann and realized by Bachly Construction, their expertise and attention to detail is evident in the quality of workmanship throughout. With every fit and finish hand-picked by interior design firm Olly & em, this home has a truly curated, custom style. Small colour touches can bring about a huge change in your outdoor space’s aesthetics and summer is the best time to do so! 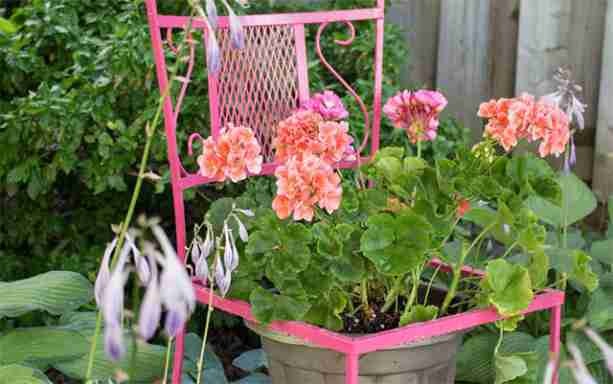 Venture into the bold and the beautiful world of daring colourful additions for your garden and watch your garden go even more vibrant with the colourful ideas below!